You’re walking down the street, minding your own business when BAM, it catches your eye on another woman’s arm – it’s love at first sight, and you NEED it. You get out your phone and Google it, and suddenly realise you’ve got Pinterest boards devoted to it’s beauty. 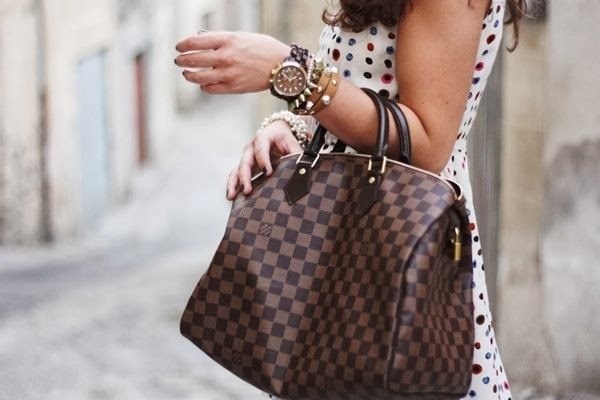 “I Need You!” Your heart is screaming, but your mind is reminding you of the consequences..
I’m talking about handbags. Maybe for you it’s shoes, or jewellery, but for me, it’s the IT bag. New research has shown that we can’t blame ourselves for being willing to do anything to get our hands on that bag; it’s a chemical reaction. At last, the news i’ve been waiting for – a study has proved that once we fall for something, be it a pair of shoes, a car, a bag or even a house, we will do (or pay) almost anything to get our hands on it – and it’s beyond our physical control. Advertisements from fashion brands have used emotional appeals to get us to value their products and brands, but now we know why they work. Researchers have found that our willingness to fork out for something that we have fallen in lust with is down to a chemical reaction; there is a chemical that handles our ‘value trade-offs’ (that thought way, way in the back of your mind asking if it’s really worth your hard earned cash!) that is activated once we develop a loyalty towards an item or a brand. Once this chemical is released, we start to believe this product, or brand is worth more than a similar product from a different brand.